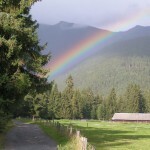 Slovakia offers many versatile possibilities as well as excellent conditions for recreational and sporting activities. From the seasonal point of view, activities may be divided into summer and winter activities. The winter period is crucial for many areas in Slovakia due to the number of arriving tourists. 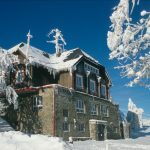 Thanks to its temperate European zone with copious snowfall and beautiful hilly terrain, Slovakia boasts plenty of excellent ski resorts, which constitute some of the most attractive tourist sites during the winter season. The best resorts are to be found at higher altitudes and in the larger tourist centres. They offer better and higher-quality services, an extended season (if necessary by providing artificial snow) and a variety of other types of entertainment besides skiing and winter sports. 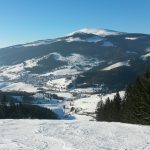 The most commonly available sports in Slovakia’s winter resorts include cross-country skiing, downhill skiing, ski-alpine skiing, freestyle and freeride snowboarding and skiing and ice skating. A stay at one of these resorts may be enriched with dog sled tours and entertainment of both a traditional and non-traditional nature. 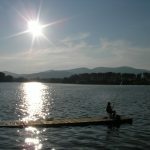 Those not interested in snowy slopes, bobsleigh tracks or ice rinks who long for summer days have the opportunity to recall them at least in part at Slovakia’s water parks, which boast stable water temperatures the whole year round. • Terchovec Terchová, Žilina Region and others. During summer months many recreational activities take place by the waterside where there are always excellent facilities for recreation, sport and entertainment. Besides swimming, recreational areas situated by the water also offer other activities such as boating, speedboating, water biking, water skiing, windsurfing, diving and other activities. Set amidst beautiful scenery, Slovakia’s dense network of rivers is an ideal precondition for river rafting. Those interested in floating, one of the country’s most popular tourist attractions, will also come into their own. 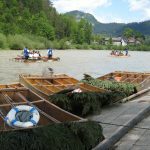 Most popular is rafting on the Dunajec River. However, there are also opportunities for faster, more adrenalin-pumping rafting in canoes and kayaks or on rafts. 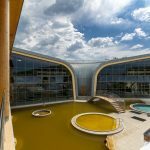 Another very important resource for relaxation associated with water is provided by Slovakia’s summer and thermal swimming pools, which are located in all regions of Slovakia and in almost every large or small town. Tourism has a great tradition in Slovakia mainly due to the excellent conditions offered by the Slovak mountains. 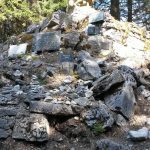 In all mountain areas it is possible to find many marked safe hiking trails or nature trails, with information boards at regular intervals along the way describing the local fauna, flora and interesting natural formations. More demanding tourists can choose from the Alpine routes, which are tougher due to their length, elevation and altitude, often reaching over 2,500 metres above sea level. 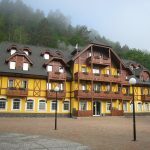 Slovakia also offers excellent conditions and facilities for other summer recreational pursuits such as cycling, horse riding, motocross, golf, tobogganing systems and various adrenaline-pumping activities. • Liptovský Hrádok Arboretum, Žilina Region. 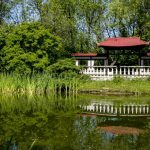 For many decades there has been no doubt about the healing effects of many mineral springs that have welled forth in Slovakia. Those who particularly bear witness of it are satisfied guests who regularly and willingly return to Slovak spas. Balneal and related services in Slovakia have a very good reputation not only in Europe but also worldwide. 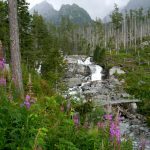 This is due not only to the quantity and strength of the healing mineral springs, but also to the tradition of service and care for demanding clients. • Štós Spa, Košice Region. 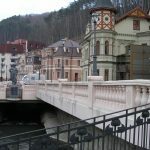 The focus of services offered by spa towns in Slovakia varies. Whereas healing procedures for more serious illnesses based on medical recommendations require a longer residential period in a therapeutic facility, stays in therapeutic and spa facilities which are intended only for rest and relaxation usually tend to be shorter. In addition to hot baths and professional massages, a range of slimming, activity, beauty and wellness stays are also available for visitors.